Ultimate Games and Baldur Games have announced that Grave Keeper will release on Nintendo Switch, a hack ‘n’ slash game in which you must brave the Forbidden Stronghold. You play as a bounty hunter who must slay enemy hordes and topple the undefeated Skeleton King to secure the wealth treasures that they guard. There are 14 different enemy types to defeat, nine bosses, and, after all of them, the Skeleton King. There are three modes – Standard, Versus, and Royal Fight – and you can collect more than 110 different items to strengthen your character as you progress, such as swords, axes, crossbows, and armor. “This is a production embedded in a fantasy world. Grave Keeper stands out, among others, with its unique combination of mechanics known from various game genres. Players will find here, for example, traditional elements for hack ‘n’ slash genre as well as solutions associated with idle/clicker type games. The gameplay is not overly complex, but it can drag on for hours, especially that the challenges are very differentiated and many treasures are awaiting you,” developer Paweł Waszak explains. Grave Keeper will release on the Nintendo eShop for Nintendo Switch worldwide in Q2 2019. 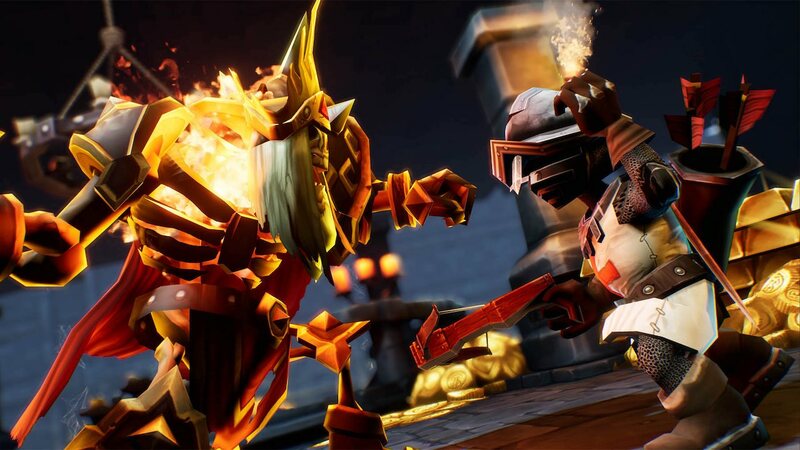 Reminds me (fondly) of Dungeon Keeper – I would love to see that come to the Switch too!